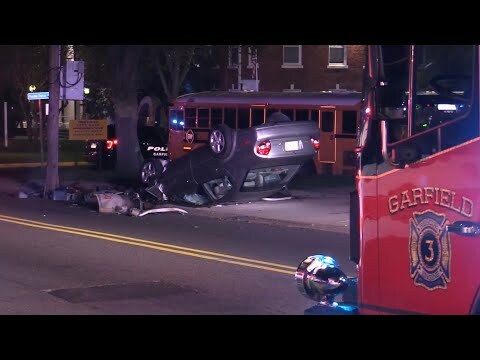 WAYNE, N.J. – A drunk Bronx driver fought with Wayne police, injuring an officer, after they stopped her on Route 23, authorities said. Officer Patrick Wlazel stopped a 2016 Subaru Outback at 12:20 a.m. Monday as it pulled into a shopping center after failing to maintain a lane on the southbound highway, Detective Capt. Laurence Martin said. The driver, 32-year-old Kristina Solano, had “a strong odor of alcohol,” along with bloodshot and watery eyes, he said. Solano “became argumentative and refused to comply with officers demands or instructions,” Martin said. She then “resisted arrest and was ultimately controlled” and taken into custody, he said. Refusing to take a breath test at headquarters, Solano “continued acting irrational and argumentative,” the captain said. “While being escorted to the cell block, she assaulted Lt. Robert Franco and Officer James Voight, resulting in Voight sustaining an injury to his right knee,” he said. Solano was released to a responsible adult pending a hearing. She is charged with assault on a police officer, resisting arrest, DWI and refusing to submit to a breath test.